Epson looks to improve workplaces by providing new and efficient smart solutions. They showcased them in a tour covering Metro Manila, Naga City and Baguio. 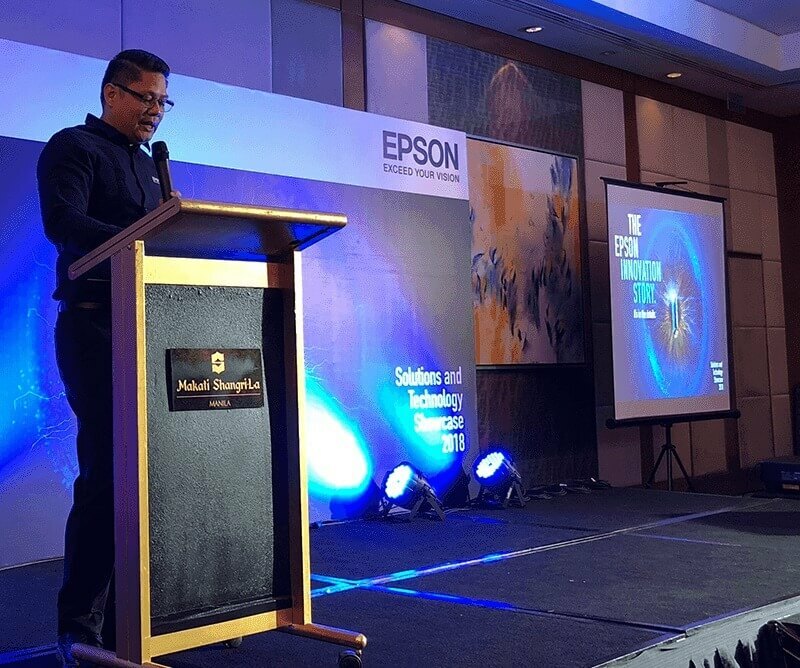 The Epson Solutions and Technology showcase entitled "Our Innovation Story" aims to show the collective effort by Epson in terms of technological innovation in terms of print, scan, label, projection and wearable solutions. Epson wants to provide solutions that can optimize end-user ecosystem across five areas including sales operations, marketing, finance, training and logistics. They showed products and solutions that are manufactured through the company's own proprietary tech. Epson also wants to show how their Smart Solutions be easily integrated across different environments and scenarios to get process improvements, promote collaborations and maximize productivity. Logistics Department Solutions - Use of ColorWorks to create digital color labels on-demand; reduction in cost and increased customization, while meeting GHS requirements. Use of smart glasses to improve pick-list process and overall picking accuracy.